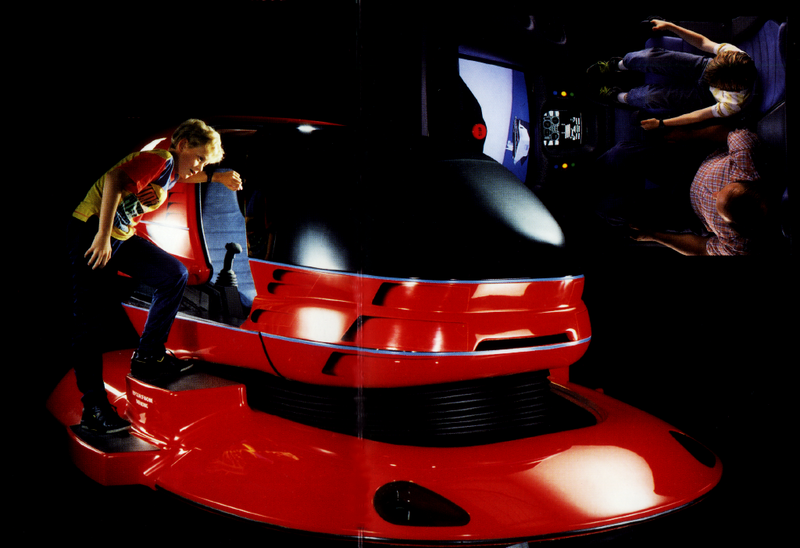 This machine was a prototype two-seat "leisure simulator" - intended to go into theme parks and up-market video game arcades. 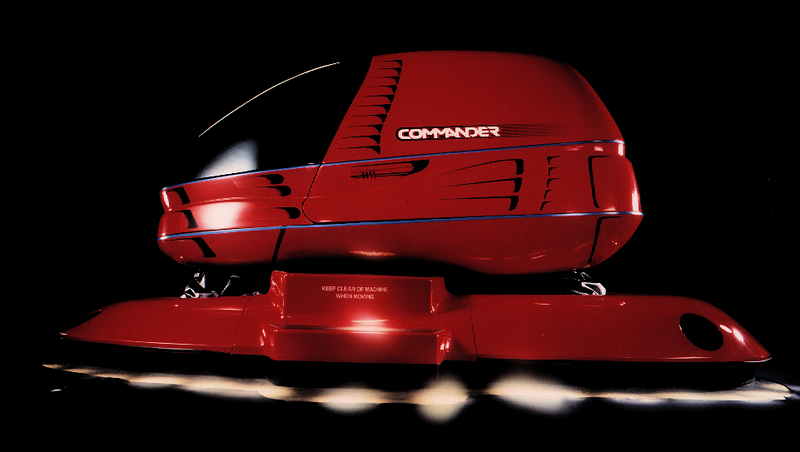 It had a three degree of freedom hydraulic motion base that could toss the car-sized capsule around with accellerations of up one G (more over short impulses) and could raise the capsule up to just over a half meter into the air and roll or pitch it by plus/minus 25 degrees. The players sat inside the machine in darkness with the whole aft section of the capsule sliding backwards to let them in and out. The game was run on an Intel i286-based PC with two custom graphics cards - each having a pair of ARM processors. One drove the 3D display the other rendered a heads-down instrument panel and the music, speech and sound effects. 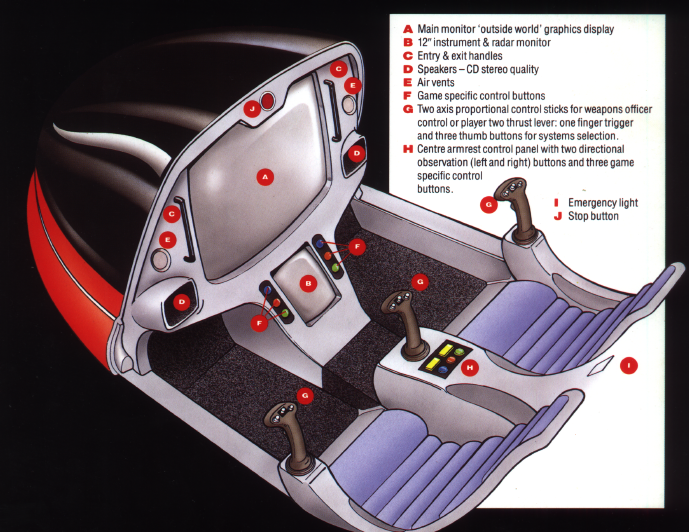 There were several other autonomous single-chip processors doing the work of maintaining the safety of the motion base, controlling the audio and video voltages and reading the coin mechanism and joysticks. The 3D renderer was probably the first practical PC graphics card that could do realtime texture. We put that together back in 1990. The half dozen different 3D databases were built by Dan Jaquish. The image you see here is of the final level of the game. 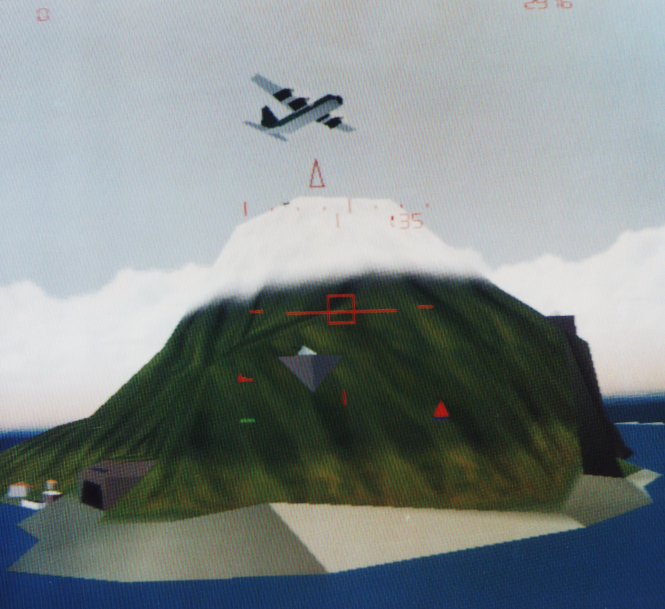 The proof-of-concept game we wrote was a flight-sim/combat game called "Air2Air".